A cat does not like being left in the lurch, as is the case with any pet. Getting a boarding which is suitable for your cat should be the first thing in your ‘to-do’ when you even think of going for a holiday that may even be overnight. These four legged creatures sense when the owner is planning to leave them, even if it is for a short time. You can say that they have a sixth sense. Finding accommodations which are comfortable and warm for your cat will keep you relaxed, and you can enjoy your holiday to the maximum. These boardings are also absolutely perfect in case of an emergency in the house, not just holiday. Choosing a professional boarding is not difficult if you know what you are looking for and where to look out for it. Every pet owner wants their pet to be looked after with love and warmth besides having the knowledge on how to look after them. Make sure you choose a boarding which can make this experience for your cat wonderful and not create any sense of discomfort. They (the cats) have no language by which they can narrate their experience, so this makes it all the more important that we make the right choice with utmost care and the necessary precautions. 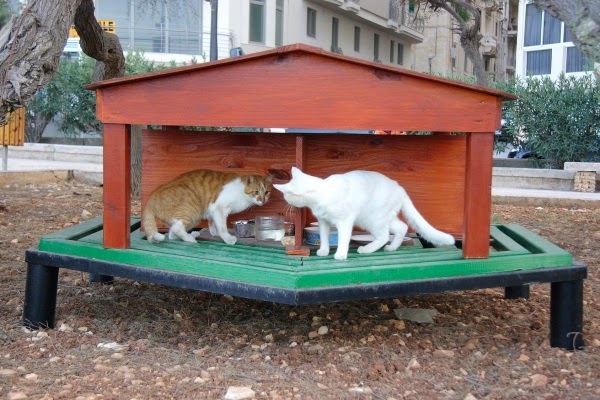 Do make sure to check out the services that are provided by the cat boarding. There are many specialized services offered by the different boarding, and since you are looking out for the best, it makes sense to check out each one minutely. Before the other services are offered, it becomes important that the people who are handling your cat have a thorough knowledge of this and hold the necessary certificates and degrees required for caring and looking after your cat. The more experience they have, the less problems your cat will face. With your cat being looked after well, you can have that relaxed and tension free holiday that you were looking forward for. There are many agencies that provide beddings and litter pans, or even soft toys for your loved ones. Checking out what is required of you before you drop off your cat to the boarding, will save you and the person looking after your cat, from a big headache. There are boarding which require a certain amount of vaccinations to be had by the cat, before you drop them here. There are also agencies that require cats if it is a male to be neutered. Contacting them and finding out details of their requirement will make the whole procedure easier for you. It is definitely wise to contact the agency you have chosen as soon as you have made the plans to travel as this will give you enough time to meet their requirements and there is no last minute rushing. By having a thorough knowledge of the owners and interacting with them, you will have a clearer picture of the people you are handing over your cat to. In case of a booking, you need to make sure the agency is informed well in advance, so that you can get some refund. For the comfort and ease of your pet and the agency, make sure that you have the entire records ready for the vaccination given. Providing them with instructions for grooming and feeding makes the stay of your cat more comfortable. Separation can be a little problematic for your pet, but making sure of the experience of the agency in handling pets, you can be relaxed. Informing the agency of the problems your cat might be facing, like certain allergies or fear of a certain kind will help them to handle your pet during such situations. Keeping the above factors in mind, you can be assured your cat is going to enjoy the stay at a suitable boarding. If you carefully follow above all the tips, you will surely find the best cat boarding for your lovely cat. If you still have some doubts then you can visit us to know all the details about cattery and cat boarding.